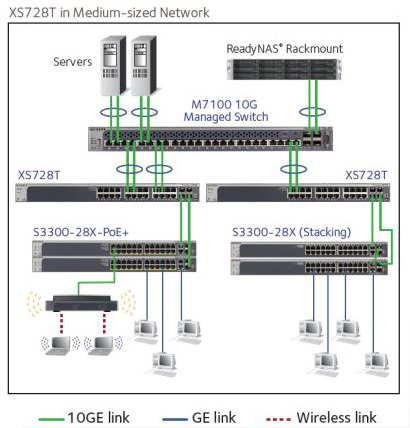 As a leading provider of network equipment for SMBs, NETGEAR® understands the importance of a reliable and high performance network to SMB customers. With the growth of virtualisation, cloud-based services and applications like VoIP, video streaming and IP surveillance, SMB networks need to extend beyond simple reliability to higher speed and performance. The 10-Gigabit Smart Managed Switch series from NETGEAR presents the right solution for this requirement; delivering unprecedented non-blocking 10-Gigabit bandwidth at an affordable cost. 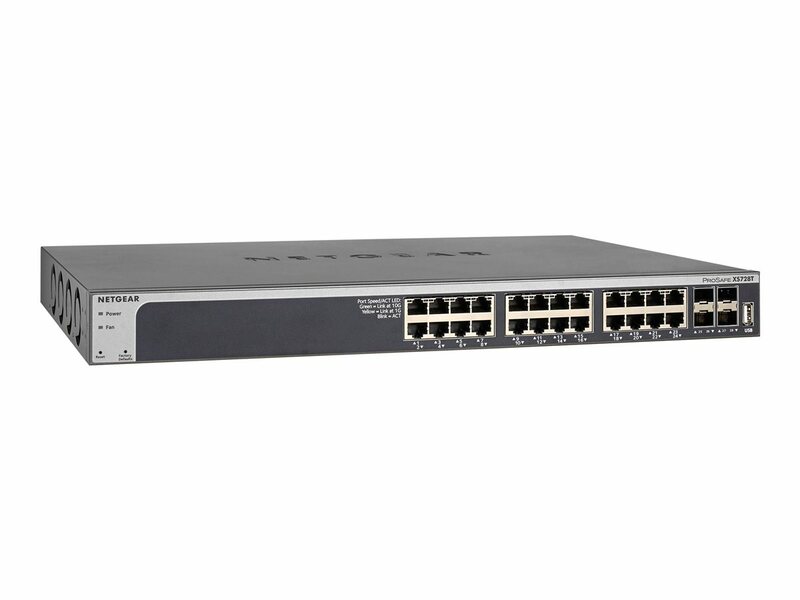 The NETGEAR ProSAFE® XS712T and ProSAFE XS728T are powerful Smart Managed Switches that come with either 12 or 24 10-Gigabit Copper ports and either 2 Combo SFP+ (XS712T) or 4 additional Dedicated SFP+ ports (XS728T) for 10G Fiber links. 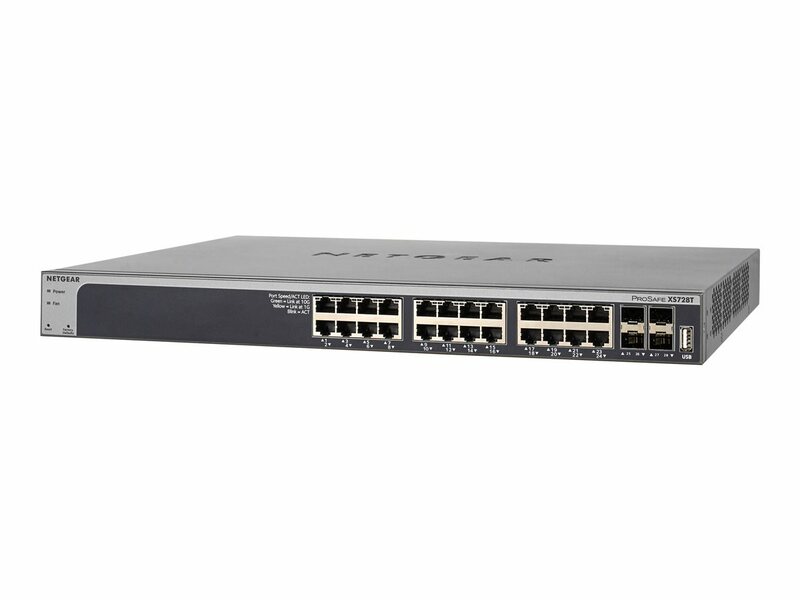 The NETGEAR 10-Gigabit Smart Managed Switches are purposely designed as a cost-effective way to provide 10G connections to 10G-capable servers and NAS (Network Attached Storage) systems. 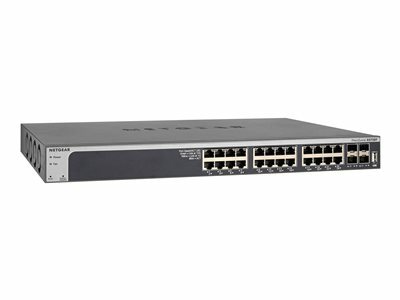 They can be used at the “center of a small business network” or as an aggregation / access switch in a larger organization including workgroup access, connecting to a 10-Gigabit NETGEAR ProSAFE M6100/M7100/M7300 Fully Managed Switch on one end and extending the 10G connections to the edge.